Hey everyone! 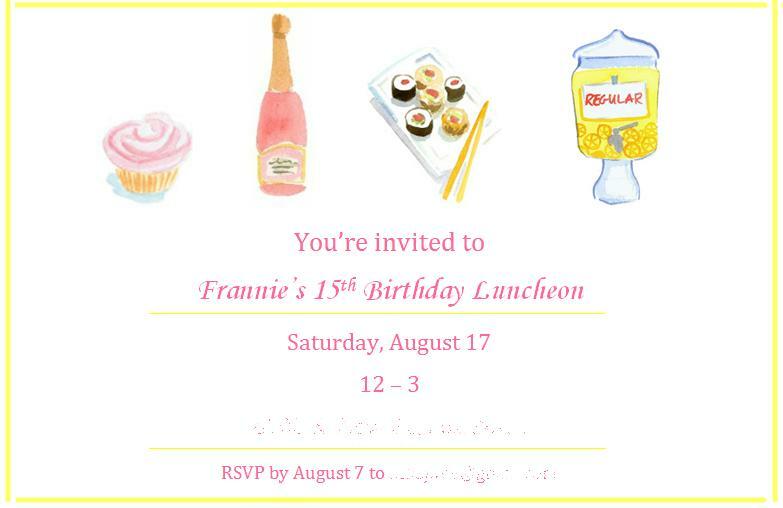 I'm super excited because this year I am having a preppy luncheon for my birthday party and I am inviting around 20 girls! I am so proud of myself because I really like designing, and I love the way that my invites turned out! The text color is actually a little brighter, but for some reason whenever I upload pictures with text, it always gets a little distorted. Those are absolutely adorable Frannie! I love it!! Cant wait to hear more about it soon! The invitations are so cute! I am definitely jealous of your summer birthday and can't wait to see all the details! So cute! I am having a cook out for my birthday next month and I am debating if I want to send out invites or a casual facebook event! This makes me want to find invitations!